Bradley Hallman has been fishing FLW events since 2002. According to him, none has been better than this one. Hallman wins wire to wire. It started with his jaw-dropping 23 pounds, 11 ounces of spotted bass to set the pace on day one. 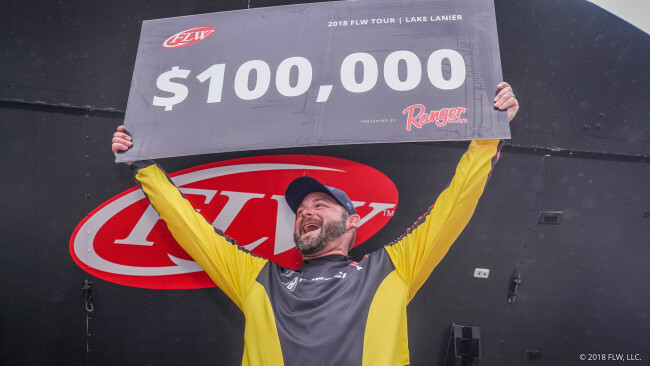 But for Hallman, his proudest achievement was the fact that he had to completely change patterns each and every day to meet the conditions, culminating in his second Tour victory at the FLW Tour presented by Ranger on Lake Lanier. His total of 68 pounds, 4 ounces beat out fellow Oklahoman Zack Birge by roughly 2 ½ pounds and he earned $102,700 for his efforts. Hallman’s best week hardly could’ve started better when he had “one of those days” when everything went right. Fishing the clear water below Brown’s Bridge, Hallman ran more than 45 points with a Megabass Vision 110 +1 jerkbait and a swimbait on a ½-ounce head. He had more than 20 pounds by 1 p.m. and even when he went to try and help his co-angler catch a limit, he caught another giant to cull him up again. Best of all, he knew he had a second pattern he’d barely touched sitting in his back pocket in case of emergencies. As it happened, he had to break that glass on day two when classic post-frontal conditions of high winds and bright skies changed the game. Apparently, there’s a local pattern on Lanier of tossing a swimbait along the outside walls (fences) of marinas. The walls may sit over 100 feet of water, but some giant bass (pandas) like to hide underneath them, particularly on any points in the fences. Doing that, Hallman quickly crushed 18-7 to extend his lead to more than 7 pounds. A third day brought a third weather change, with clouds eventually rolling in around noon. Thus, it also brought a third pattern. Neither his deep points or fence pandas were cooperating, forcing him to scramble around skipping a Zoom Trick Worm on a shaky head under shallow docks and walkways to fill out the rest of his limit. Up until day four, all of Hallman’s damage had come on the lower end. Yet, he was open about the fact he didn’t know how to catch those spots in the clear water when it was cloudy. Hallman never caught a fish more than three miles from takeoff today, hitting docks and patches of emergent dogfennel in the backs of pockets to grab a quick limit of largemouths and spots. Though he tried for his fence pandas again on the lower end, that didn’t pan out at all. Coming back up the river in the afternoon, Hallman culled up once more to 13-1, which was just enough to hold off Birge. “Birge lives 10 miles from my house,” says Hallman. 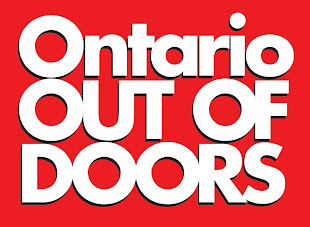 “When he went by me the other day I told him he’s been knocking on the door for a while. [With the way my weights had dropped every day] this might be your time. Fortunately, I adjusted just enough.